Amelia V. Anderson (The Voice in Tania) has studied under Constance George and Aleta Chappelle. Performances with Triangle Theatre include Ancestral Voices, The Real Inspector Hound, Relative Values, Light Up the Sky and Doubt. 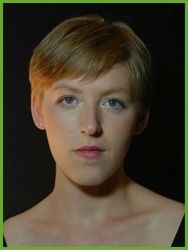 Amelia performed in Any Number Can Die for the ACC and in the Snarks’ productions of Morning’s at Seven, The Cemetery Club and Tartuffe. She provided the voice for the witch in "Chasing Unicorns" (an animated short) and the cell phone in Phone Six (a short play written by Constance George and shown in the Short Play & Musical Festival). She’s enjoying being a kindly person on a night of mayhem, murder and screaming queens. 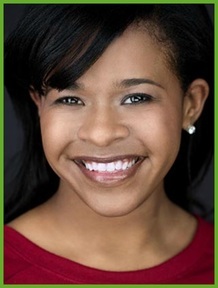 Lee Avant (Voice of the Female News Reporter in Tania) is an actor and a Michelle Obama impersonator. She’s performed on stage in New York and Los Angles, including performances at Playwrights Horizons, the Kraine Theatre, and the Wow Café Theatre. Television credits include, "One Life to Live" (ABC) and "The Tenderloins" pilot (with the cast of Impractical Jokers, TruTV). Lee starts shooting her first feature film role this fall in "#SetLife," directed by Dana Verde. She holds a BS from Emerson College and is very excited to be working with one of her favorite directors, Kiebpoli Calnek once again. Dionna Eshleman (Regan McNeil/Host) is so excited to join White Rabbit Productions for Scream Queens and Crazed Fiends for her NYC debut! She graduated from Temple University in 2014 with a BA in Theater with a concentration in Musical Theater. 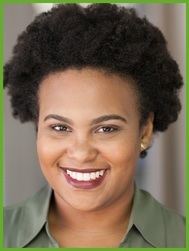 Dionna most recently worked with the Omaha Theater company on their national tour of Lilly's Purple Plastic Purse as Garland/Grammy. 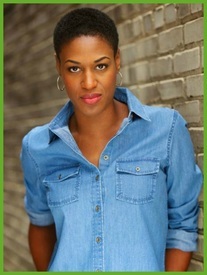 Some of her favorite roles include Ilse in Spring Awakening, Barbara in Black Coffee and Isabelle/Sabine in The Liar. When she isn't on the stage, Dionna loves to cook, explore the city, and make people laugh. Visit her website www.dionnaeshleman.com to keep up with all of her adventures! Kate Fallon (Carrie White/Host) is delighted to be performing for the first time with White Rabbit Productions at the Kraine Theater. She graduated from Adelphi University with a BFA in Theatre, but also spent time studying with the London Dramatic Academy. Kate's recent credits include: I Love Myself - The Musical at The Players Theatre, Much Ado About Nothing at The 133rd Street Arts Center, and The BBQ at 13th Street Repertory Company. She has also toured nationally in Robin Hood for The Hampstead Stage Company and performed as a voice over artist for Audible.com as a book narrator. Kate would like to thank her friends and family for their unending love and support. Amanda Garcia (Donna in The Beast of Both Worlds) is so delighted to grace the stage once again after playing the saucy Fraulein Kost in Cabaret. Amanda spent three seasons with Oldcastle Theatre Company, having played Margo/ Connie in Northern Boulevard as well as Mrs. Hopkins in My Fair Lady and Carol in Black Comedy. 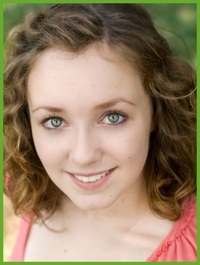 She has also been fortunate enough to perform with the Actors Express at Oldcastle Theatre Company. She’s a proud graduate from AMDA in NYC! Wesley Goodrich (Blacula/Host) is extremely excited and honored to be a part of Scream Queens and Crazed Fiends. He has also portrayed such roles as Orlando from As You Like It (NYU Steinhardt’s Looking For Shakespeare Program), Daryl from Those We Thought We Loved (Education @Roundabout), The Recruiter in Mother Courage, Friar Laurence in Romeo & Juliet, and Al Lewis from The Sunshine Boys. In addition, Wesley has directed and written two one-act plays for Edward R. Murrow High School’s Director’s Workshop. Wesley is currently studying Directing at Pace University. Wesley would like to thank God, his parents, and close friends, as well as the entire cast and crew of this amazing show. Gladys Hendricks (Teresa in Trumpets Sounding Over Harrisburg) had her acting epiphany two years ago, shortly before graduating from the UW Madison with a degree not even remotely related to theater. She is currently a student at the Acting Studio where she recently made her New York stage debut in their festival A Midsummer Night’s Madness (Johnna in Naomi in the Living Room). She is absolutely thrilled and deeply grateful to have been invited into this celebration of her favorite holiday. ​Jesse Rose Krebs (Ellen Ripley/Host) has a flair for the thrills and has come from Alaska to pursue her dream in New York. She graduated from Circle in the Square Theatre School and is part of the Theatre 68 Company as well as the Girl Be Heard Company. She'd like to thank this cast and crew for helping her fulfill her dream of being a scream queen right here on stage! Lots of love. Charlie Leeder (Werewolf in The Beast of Both Worlds, Vine in The Questioning) was last seen as the lead singer, rhythm guitarist and composer for the children's band "Joy and the Toys." 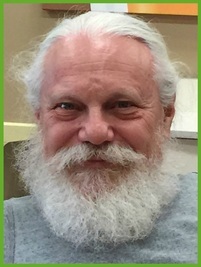 An active local musician, playwright and actor, Charlie wrote the longest running play in the history of New Hope, Pennsylvania, A Catered Affair, which ran for sixty weeks at the Tow Path Dinner Theatre. Audiences may remember him as "Charlie the Answer Man" on the television show "Meadowlands Marquee." His most recent project is the completion of a full length movie, "The Gentle Present," which was based upon his play, and had its original production at the Mill Hill Playhouse in Trenton, New Jersey. Charlie is happy to be making his debut appearance with White Rabbit Productions. Nitin Madan (Sam, Father & Mother in and that is What The Devil Said) is thrilled to be back this year at the creepiest Halloween celebration in town! Convinced that a lack of curiosity is certain recipe for death, Nitin’s aim has been to keep the mind creatively stimulated for fear of mortal doom by boredom. When not acting for the Theater, Film and the Web, Nitin makes films, mostly about artist(e)s and the unholy demons that reside within them. A graduate of Columbia University’s Film program, and a proud palindrome, Nitin has recently formed his Digital Media production company, Knit-inK, that produces content in New York and India. Nitin can be seen now in the web series The She-nazty Show, and in the Indian feature film Chasing Moksha early next year. 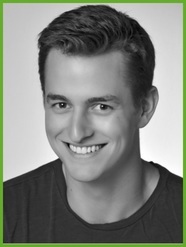 Steven Martin (Adrian in The Beast of Both Worlds) graduated from The American Musical and Dramatic Academy in New York City. 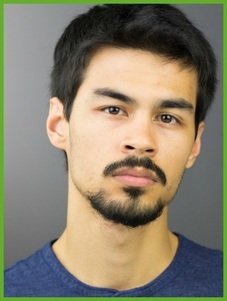 Recent credits include Nick in Mourning Glory, Guildenstern/Fortenbras in Hamlet, Turkle in One Flew Over the Cuckoo’s Nest, Basil/Papa Pittman in Blackfootnotes, Master Chavros in The Renaissance Dueling Play, Cornwall and other multiple roles in King Lear, Homey 2 and Brother 2 in The Tragedy at Hood 14542. Steven would like to thank God, his friends and the cast for making this production an amazing experience. Sue-Ellen Mandell (Pearl in In the Name of the Camera) graduated from New York’s High School for the Performing Arts, was a theater major at Hunter College, a speech/language pathologist, a community theater actress and then …. Whoops! … a retired speech/language pathologist returning to the New York theater scene….Yay! Sue-Ellen has acted in many regional and off-Broadway productions. (Favorite roles include: Martha: Who’s Afraid of Virginia Woolf, Ouisa: Six Degrees of Separation and Blanche: A Streetcar Named Desire. She also appeared in the New York International Fringe Festival, the Capital and Syracuse Fringe Festivals, and the 2015 Fresh Fruit Festival. 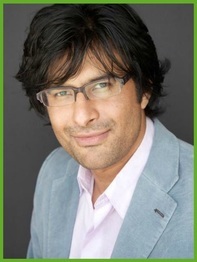 Other projects include independent and student films, and the webseries “Classic Quiche Café,” “BE Bettina and Elaine” and “Giving.” Television work includes the Home Shopping Network, two episodes of "Celebrity Ghost Stories," and episodes of Investigation Discovery, Deadly Devotion and Poisoned Passions. 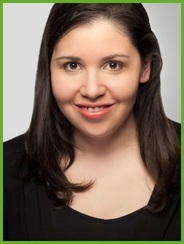 Sara Minisquero (Michelle in The Date) is an Emerson College, Theatre Studies BA graduate. Recent credits include the premiere of Linoleum's Hard as Emily, written by Joanne DiSimone and presented as a part of John Chatterton's Midwinter Madness festival, Things That Go Bump In The Night Halloween event by White Rabbit Productions/Genesis Productions as The Girl in The Greenhouse, associate producer and makeup FX. This is Sara's third Saad-Ali piece, after starring in a staged reading of Old Men are Full of Sh!t as Rose and as Dinah in Canaan. Other company credits include Act-Out Rep's Othello at the Narrows botanical garden as Emilia and fight captain, A Midsummer Night's Dream (Quince), The Tempest (Trinculo), As You Like It (Phebe) and Taming of the Shrew (Petruchio). Sara can also be spotted in a number of GRETH Productions titles, including "Meat Me In Plainville," "Sink Hole," and the Supercute! music video for "Dumb Dumbs". Most recently, Sara is set to appear in "Neverland! the Webseries," as an actor and makeup specialist. Thanks! Shaun S. Orbin (McKenna in Stalker Nun) has performed in New York for over 10 years, appearing in pretty much everything you've never heard of and doing a phenomenal job at it. 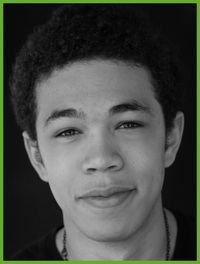 His performances have been called "...a young Bill Erwin" by Outerstage.com and "...passable, I guess" by most others. Best roles include Liver Lips Louie in Guys and Dolls, Sebastian in The Tempest, Destin Powers in Unburdened, and an awful lot of background for TV and film. In addition, he worked extensively with Tempest Productions, a non-profit Children’s theatre, performing as well as teaching clowning and puppetry. Shaun also does set design and works in construction. He dedicates this to his wife Cory and daughter Clover, the best things in his life. 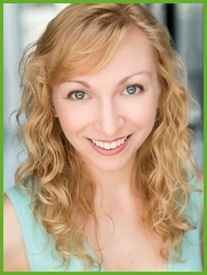 Samantha Randolph (Kim in In The Name of the Camera, Susan in Bite Curious) is a Brooklyn-born actor, singer, dancer, playwright, and aspiring poet, with great enthusiasm and passion for everything she does!! Samantha played Sara in Call Upon last Ocotber, part of Things That Go Bump in the Night. Other favorite off-off Broadway credits include The Smoker and the Blue-Haired Chick (Roy Arias Theatre), On The Porch One Crisp Spring Morning (City College), Seussical (Rosetta LeNoire Musical Theatre Academy), and Geri' Pimpin (Manhattan Repertory Theatre). She made her directing debut last fall with the premiere of Bright.Apple.Crush, which also performed at Manhattan Repertory Theatre. When not performing, you can catch Sam listening to jazz music, reading poetry, playing piano, and watching classic movies. Much love to the hard-working parents, true blue friends, and to her teachers for their never ending support and making her the professional that she is today!